All RIVERWOOD homes currently listed for sale in Spring Branch as of 04/18/2019 are shown below. You can change the search criteria at any time by pressing the 'Change Search' button below. "Beautiful 1 Story Hill Country Home on 2.75 Private Acres w/ a Sparkling Pool w/ Deck & Circular Driveway in Spring Branch! 2 Car Attached Garage + 2 Story 2 Car 36'x55' Detached Garage w/ Workshop , Loft Area & Solar Panels. Roof Brand New in 2017. Chef's Delight Island Kitchen Boasts Built-In appliances, smooth cooktop, Granite counters & opens to Spacious Family Room w/ Cozy Fireplace. Bonus Room or 4th Bedroom Upstairs! New Carpet! Formal Living/Study! Access to Guadalupe River Park. Acclaim"
"Beautifully updated home w/designer touches. Wonderful oversized deck w/phenomenal HILL COUNTRY VIEW and country breezes. Large master suite opens to deck. Large full masonry rock fireplace. Private backyard w/many mature oaks. 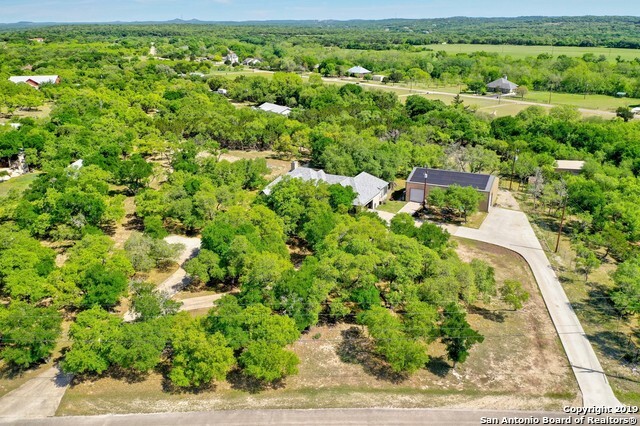 3.17 acres *Wonderful oversized deckw/phenomenal VIEWS OF HILL COUNTRY* Access to River Park."